Finds leaks fast and shares data via the Cloud. Improves pipeline integrity and public safety. ABB Ability mobile gas leak detection system uses ABB’s patented Off-Axis Integrated Cavity Output Spectroscopy (OA-ICOS) technique which has a sensitivity and precision more than 3000 times greater than legacy methods. This enables identification of leaks several hundred feet away from the source. Current traditional leak detection technology is slow, laborious and costly. Operators walk on foot near the pipeline with hand-held sensors making paper-based reports.This is slow and can lead to dangerous leaks being missed or not identified in a timely manner. ABB’s Ability mobile gas leak detection system delivers a low cost per leak solution with low false positives. Reporting includes mapping of the leaks available via a mobile app and measurements as Cloud-based service. 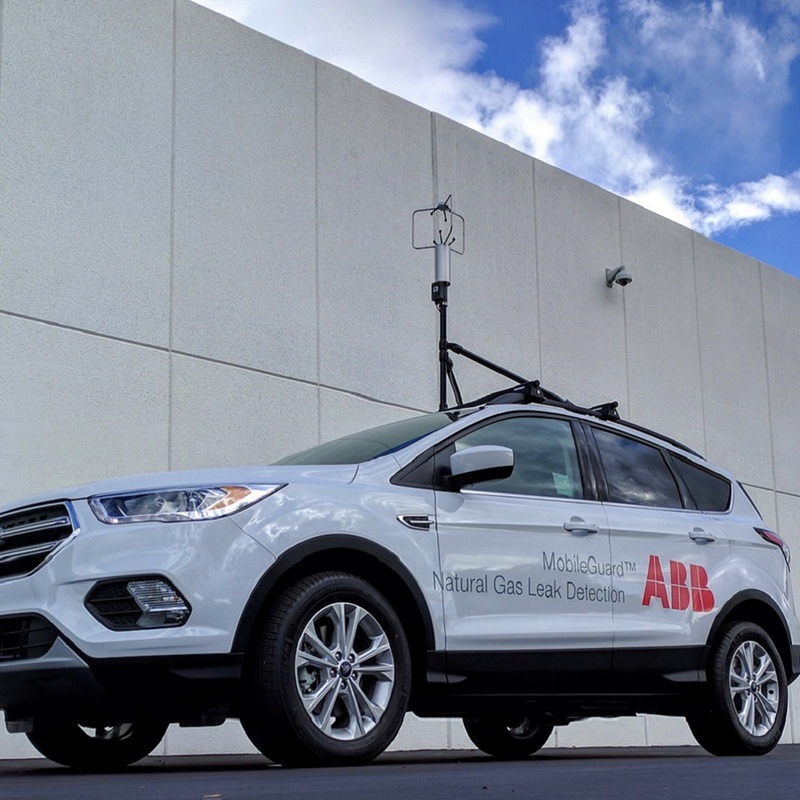 The system consists of ABB’s Methane/Ethane Analyzer, a GPS, a sonic anemometer and proprietary leak detection software that presents real-time geospatial maps of multiple gas concentrations in real time. The software’s sophisticated leak detection algorithm combines the system’s measurements of gas concentrations (CH4, C2H6), local coordinates (GPS) and local wind velocity (sonic anemometer) to estimate the location of the leak. Readings are stored in the device and can be transmitted in real-time to the cloud for centralized monitoring. Typical applications include pipeline monitoring, surveying mains and services, odor investigation, construction verification, post disaster evaluation and frost line evaluation.